A $1000.00 deposit is required to hold your spot. No spot is secure without a deposit. Your deposit is non-refundable unless the hunter or outfitter is able to find an alternate hunter to fill the same time slot. There are no refunds if the client arrives late or leaves early for any reason or doesn’t make it here for the hunt. There is no discount of the contracted price if the client drives to camp or rents a vehicle and therefore doesn’t require airport pick-up. We respect the rules and regulations of hunting in Saskatchewan and require our clients to do the same. 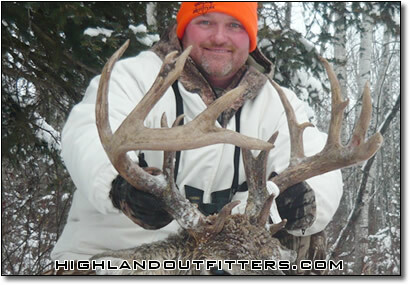 When you book your hunt, we will send you an information package. Included is a firearm declaration form, a hunt contract, and a list of suggested items to bring, along with other helpful information. Most of this info is also available on our website under the heading “Client Package”. Given advance notice we can arrange to have ammunition at camp for you prior to your arrival. 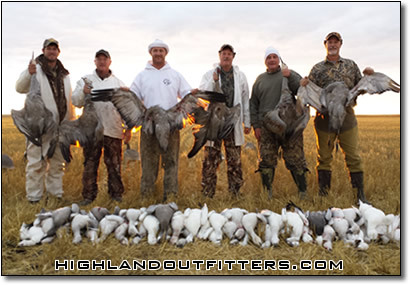 We can also arrange flights at a discounted rate for our hunters. You will need to arrive on one of the noon or early afternoon flights if we are picking you up on the day you arrive in Saskatoon. Currently, Delta has two direct daily flights from Minneapolis (MSP) to Saskatoon (YXE). Other airlines also have seasonal direct flights to Sasktaoon. A $1,000 deposit is required to hold your spot. No spot is secure without a deposit. Your deposit is non-refundable unless the hunter or outfitter is able to find an alternate hunter to fill the same time slot. Balance of the hunt price is due Oct 31st. along with payment for your hunting license. There are no refunds if the client arrives late or leaves early for any reason or doesn’t make it here for the hunt. There is no discount of the contracted price if the client drives to camp or rents a vehicle and therefore doesn’t require airport pick-up. If you plan to leave camp early after harvesting your deer you should rent a car and drive to camp. We respect the rules and regulations of hunting in Saskatchewan and require our clients to do the same. 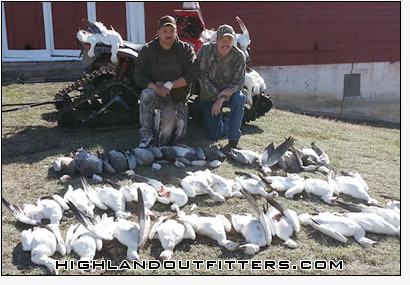 When you book your hunt we will send you an information package. Included is a firearm declaration form, a hunt contract, and a list of suggested items to bring, along with other helpful information including info on discounted flights. You will need to fly in to Saskatoon on the Saturday prior to your hunt. We will pick you up at your hotel Sunday morning and take you to camp where you can sight in your rifle. You should plan to fly home the following Sunday after a night in Saskatoon following your hunt. A $1,000 deposit is required to hold your spot. No spot is secure without a deposit. Your deposit is non-refundable unless the hunter or outfitter is able to find an alternate hunter to fill the same time slot. Balance of the hunt price is due May 1st with payment for your hunting license. There are no refunds if the client arrives late or leaves early for any reason or doesn’t make it here for the hunt. There is no discount of the contracted price if the client drives to camp or rents a vehicle and therefore doesn’t require airport pick-up. If you plan to leave camp early after harvesting your bear you should rent a car and drive to camp. We respect the rules and regulations of hunting in Saskatchewan and require our clients to do the same. 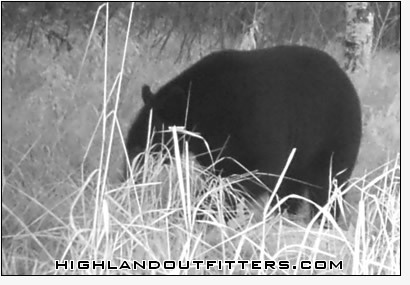 When you book your hunt we will send you an information package. Included are a firearm declaration form, a hunt contract, and a list of suggested items to bring, along with other helpful information including info on discounted flights. You will need to fly in to Saskatoon on the Saturday prior to your hunt. We will pick you up at your hotel Sunday morning and take you to camp where you can sight in your rifle. You should plan to fly home the following Sunday after a night in Saskatoon following your hunt.